THE HAGUE - The Second Chamber of the Dutch Parliament is seeking a formal reaction of the three Dutch Caribbean Parliaments to the advice of the Council of State on the possibility of Members of the Parliaments of Aruba, Curaçao and St. Maarten to submit a Kingdom Law proposal, the so-called right of initiative. 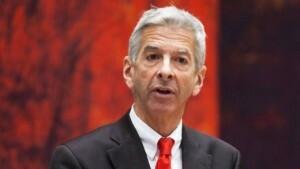 Curaçao and St. Maarten to share their view on the advice of the Council of State, as well as the reply of Dutch Minister of Home Affairs and Kingdom Affairs Ronald Plasterk to this advice.In November 2016, the Council of State last month advised against the right of initiative for individual members of the Dutch Caribbean Parliaments, a proposal which was presented by Aruba Member of Parliament Andin Bikker of the PDR party in June last year. Instead, the Council suggested, the right of initiative could be granted to the Dutch Caribbean Parliaments as a whole. In December 2016, Minister Plasterk stated that he did not support the proposal to grant individual Members of the Parliaments of Aruba, Curaçao and St. Maarten the right to submit Kingdom Law proposals in the Second Chamber. The Minister also did not back the idea of granting the right of initiative to the Parliaments as a whole. He pointed out that the individual right of initiative would provide a new instrument that was already available to the Ministers Plenipotentiary of the Dutch Caribbean countries. So far, the Dutch Caribbean Parliaments have not sent a formal response to the advice of the Council of State and the reply of the Minister. The Kingdom Relations Committee would like to receive that formal response which will be used in deciding on how to proceed on this matter. The Parliaments have been asked to respond before February 14, 2017.